ARC's Global Market Research Data and Studies are well known for their detailed analysis and accuracy. They deliver both quantitative and qualitative results with regard to suppliers, the market, and trends. Studies cover the full breadth of enterprise software, operational applications, automation products, and related services. Please see the list below. 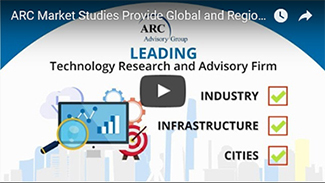 ARC delivers research differentiation in a number of ways. First, results are achieved through a rigorous primary research process, not estimates based on public sources. Second, ARC Analysts have deep domain expertise in the areas they cover and results are vetted through their knowledge and vast industry relationships. Finally, research is delivered with both current year, forecast, and a five year history. That drives consistency. The highest possible quality is the foundation of every ARC global market research study. In addition to global studies, ARC offers many studies in regional and country editions. These studies are designed to support the strategic sales and marketing professionals with responsibility in maximizing penetration and competitiveness at a regional and country level. 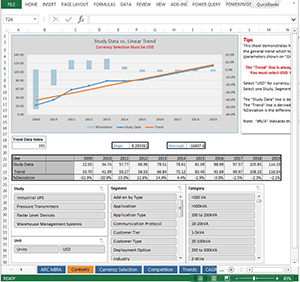 Building on ARC's traditional market studies, Market Intelligence and Rapid Analysis (MIRA) service delivers market data in a powerful Excel Workbook format. These Workbooks are based on our study database and can support over 100 product categories in over 20 vertical markets. MIRA can contain and analyze data from several topics simultaneously, delivering aggregate data from different product segments over selected periods and regions. When more market granularity is required, MIRA Regional is available with data visibility to country levels. This solution delivers a regional analysis based on economic data and ARC primary research. MIRA Workbooks also provide data in many local currencies. For detailed information, please click on the study title below. For more information or to purchase a study, please contact us.